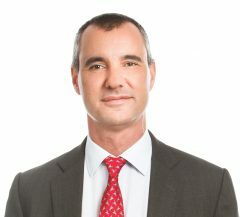 André Pienaar, Founder and Chairman, C5 Capital Ltd. The initial euphoria associated with high commodity prices that benefited many mineral-rich African countries has subsided, once again highlighting the importance of economic diversification to avoid over-dependence on commodity exports. Whereas several African countries were once considered promising targets for investment, political uncertainty in countries such as Kenya, Ethiopia, and even Tanzania has caused some investors to pause and reevaluate their prospects. The enduring challenges associated with corruption, illicit markets, and state capture continue to undermine healthy economic development. In some cases, countries like Mauritius and Rwanda have created an economic environment that is attractive to investors, despite their questionable political systems, demonstrating that autocratic government and economic development are not necessarily mutually exclusive. Between 2015 and 2030 there will be 29 million new entrants into the African labor market. Yet as it currently stands, the African job market will not produce enough opportunities for employment. This “tsunami” represents an important threat to stability. High unemployment exacerbated by a looming youth bulge may cause some to resort to criminality to provide their livelihoods. The economic relationships between the United States and the countries of sub- Saharan Africa have, since 2000, revolved mainly around the African Growth and Opportunity Act, or AGOA. AGOA, which provides trade preferences for quota and duty- free entry into the United States for certain goods, was designed to transform eligible African countries into more market-based economies. It has been criticized, however, for facilitating the exports of African oil and minerals while neglecting other economic sectors. Power Africa, another popular U.S. government–led initiative, began in 2013 and seeks to add more than 30,000 megawatts of cleaner, more efficient electricity generation capacity and 60 million new home and business connections by 2030. Through this initiative, the U.S. provides a range of tools—financial, legal, advocacy—and private investors to the African public and private sectors to facilitate the delivery of power to millions of Africans. Some argue that Power Africa has the potential to be more transformative for African economies than AGOA. Despite the success of these important initiatives, the U.S. government and American private sector have not yet taken advantage of the full range of economic opportunities that exist in sub-Saharan Africa. In comparison, China has increased its foreign investment in Africa substantially in recent years. It has focused almost exclusively, however, on extractive industries and the construction of infrastructure, enabling the acceleration of the extraction and transportation of natural resources to China. Despite China’s massive investments in infrastructure, the infrastructure gap in Africa remains significant, representing a very lucrative opportunity for U.S. companies. Natural resource and infrastructure sectors aside, Africa also offers opportunities for high-technology firms to find markets in Africa. The United States is currently the global leader in cloud computing. The leading company (Amazon Web Services) is 10 times larger than the next 14 competitors combined. If “data is the oil of the 21st century,” then cloud computing has the potential to truly transform the business sector by reducing startup and operating costs tremendously, thus offering opportunities for entrepreneurship that were previously cost-prohibitive. With the ability to access big data analytics based in the cloud, applications such as early warning systems, online education, and online banking have emerged as affordable and feasible opportunities for tech-savvy entrepreneurs. The United States can also help African countries build their venture capital sectors. Today, there are many impediments to building thriving venture capital sectors, the most significant of which is high capital costs. Limited capacity in the regulatory sector to develop an ecosystem that is attractive to venture capitalists and stimulate the digital economy is also a challenge. This offers an opportunity for U.S. regulatory experts to transfer their knowledge to African partners, who could then build regulatory environments that appeal to venture capitalists. Finally, investing in education to overcome the current skills gap would be hugely beneficial for both Africa and the United States. First, transferring skills to Africa’s youth could help alleviate Africa’s unemployment problem by suppling qualified entrants to the labor market. Transferring skills to Africa’s youth would also increase the pool of qualified workers to support American companies doing business on the continent. Facebook founder Mark Zuckerberg and his wife Priscilla Chan have made great strides in this area by investing millions in the Nigerian company Andela, which trains and deploys software coders in Africa. Imparting this skill not only provides Africans with a prospect for a better future, but it creates a skilled workforce in Africa capable of supporting high-tech foreign companies. climate conducive to investment. The United States could help by working with African partner governments to improve regulatory environments and carry out economic reforms that support competitiveness. Through commercial diplomacy offices, U.S. embassies could provide critical support to U.S. companies looking to invest in Africa, but requiring assistance navigating the complicated regulatory structures. Cultivating transatlantic business relationships is also an important aspect of this partnership; current delays in visa processing for Africans wishing to travel to the United States for the purpose of business development are impediments.